dream it and do it. program starts tomorrow. don’t miss out. They fuel us, inspire us, and drive us nuts. They’re there when we wake up in the morning, and when we go to bed at night. They never give up. You’re reading this because it’s calling you–the something in your soul. The spark that keeps burning even in the darkest times. The light at the end of your tunnel. 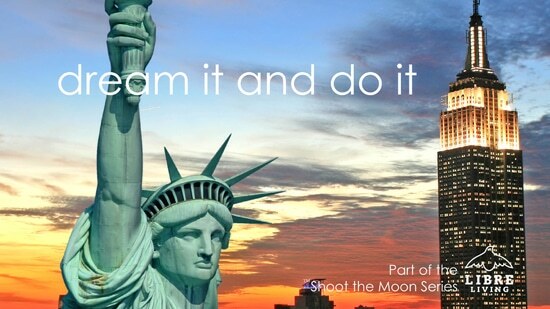 The latest course in the Shoot the Moon series is launching April 1. This 6 video series will walk you through a deep and delicious process to help you generate clarity, momentum and the steps to get you exactly where you want to go. It’s your dream. Done. Check it out here. So far, 1197 people have participated in my series for Udemy.com. Early bird pricing. To get the Dream it and Do it program for 40% off at $15.00 $9, enter your name and email here. On April 1st, you’ll get your discounted sign-up link. Early bird closes midnight PST April 1.